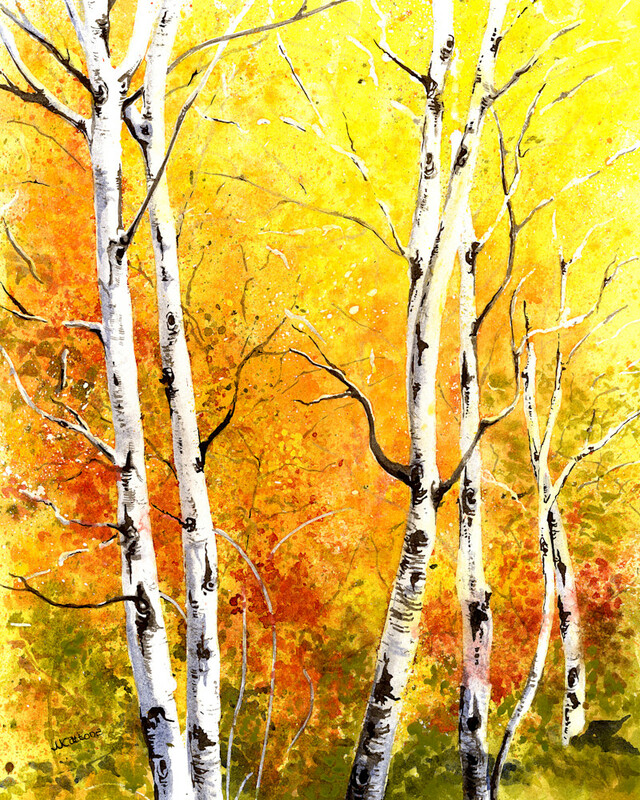 Aspen - the original was painted on watercolor paper in fluid acrylics in a looser style. I love fall and the changing colors of the trees and leaves. You will find many fall inspired pieces in my collection.